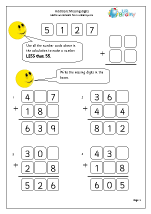 Children will enjoy showing off their high level of mental arithmetic. 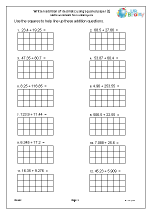 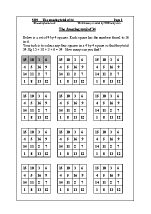 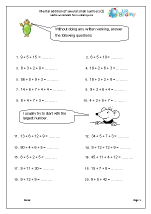 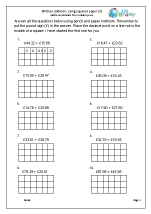 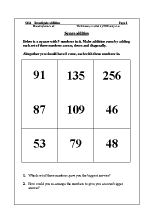 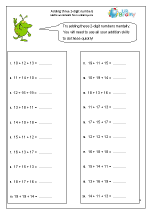 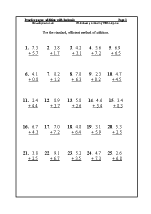 Quick mental methods are extended to larger numbers, including addition of two, 2-digit numbers. 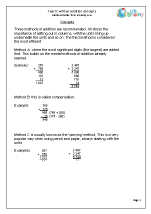 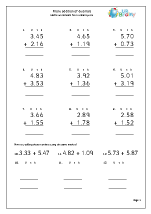 The standard written method should now used efficiently, including numbers with decimals. 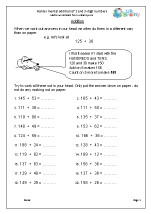 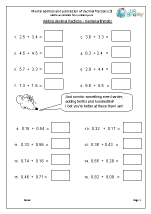 Our year 5 Addition worksheets have just been enhanced by the inclusion of 3 new sets for written addition using squared paper. 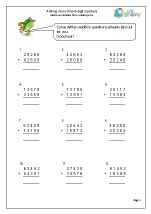 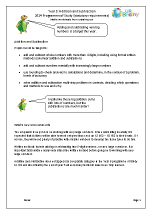 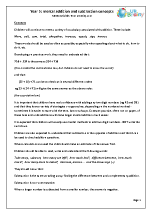 The questions are all set out in word form or horizontally, which means that they need to be set out correctly, in the right columns, before adding. 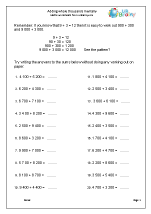 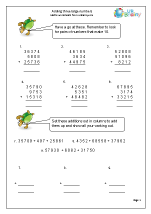 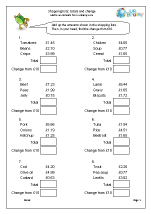 The first two sets look at adding two 5-digit or 6-digit numbers, whilst the third looks at adding money where it is essential to line up the decimal points. 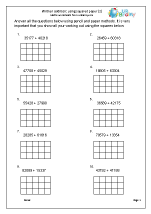 This is about as hard as it gets for children in Year 5 and if they can complete these successfully then I think it is true to say that they have mastered written addition.